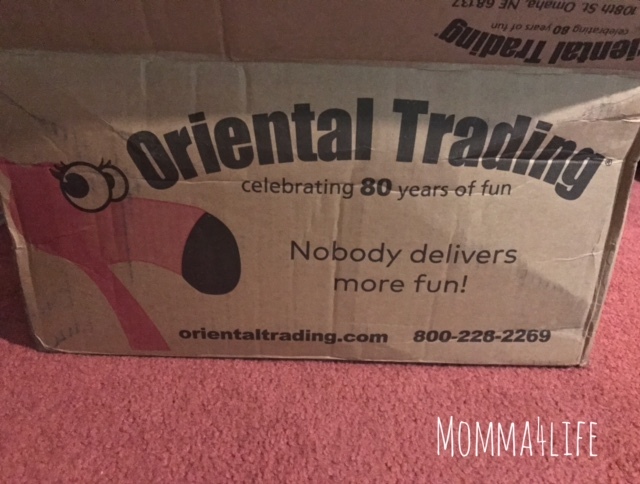 I am so excited to tell you about all the fun birthday supplies we received for my son's sixth birthday from Oriental trading. First off I want to tell you if you were looking for birthday supplies Oriental trading is the place for you they basically have anything and everything you can think of. 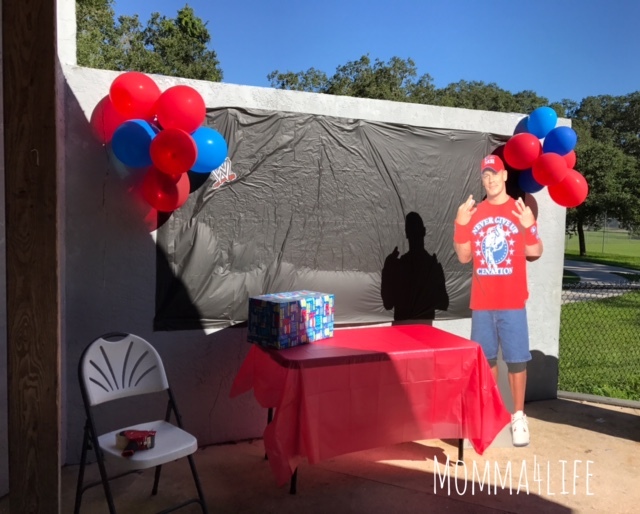 So the party that I was throwing for my son was a WWE party. So when I was looking around on oriental trading I saw a few things that I could use for this party. 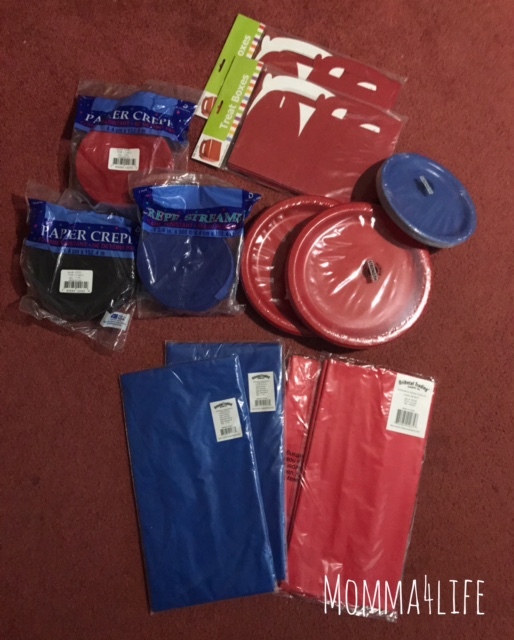 I got all my paper supplies including plates, tablecloth's, and crepe paper Red, blue, and black. 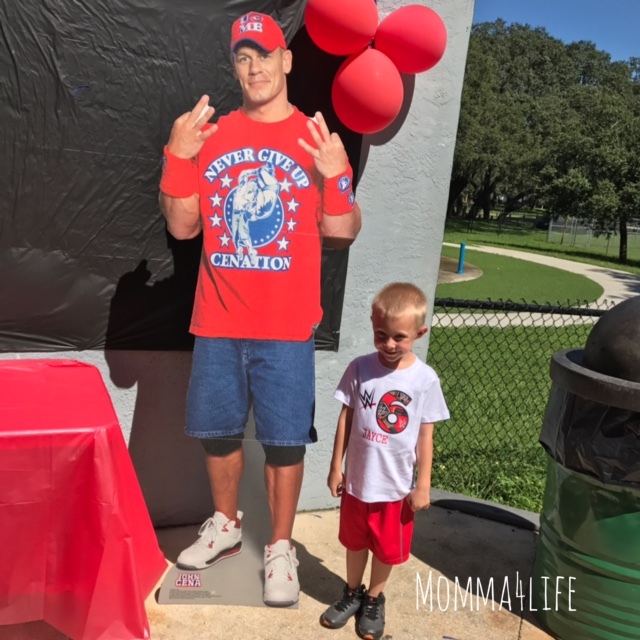 Also, another thing we got which was the biggest hit of the party was the John Cena stand up. All the kids had to take their picture with him that I will include in this post. The John Cena stand up alone made the party. This stand up is made from heavy duty cardboard and can be stored away when the parties over it come packed in this cardboard poster box which keeps it protected very well. We use the bigger red round plates for food and the smaller blue plates for desserts. 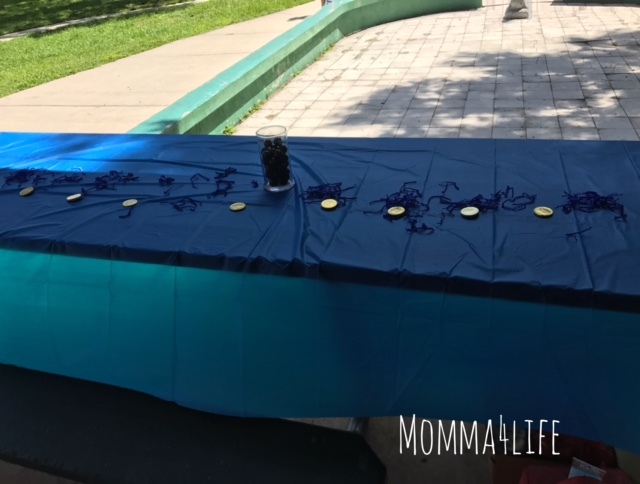 We also decorated with the crêpe paper around each of the posts. I was actually shocked at how much paper you get any roll it was pretty amazing. And can be used multiple times at multiple parties. There is plenty of paper there. 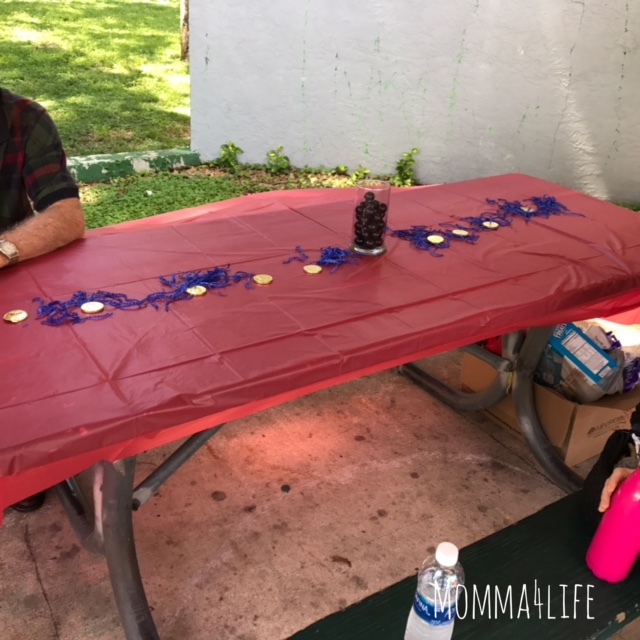 And also the tablecloths I have to tell you they are great quality a lot better than the dollar trees tablecloth we got the table clothes in blue and red and the hold up super well. I also got treat boxes but ended up not having enough to give every kid one so I'll use them next time but the quality was really amazing with these boxes and 6 comes in each set. 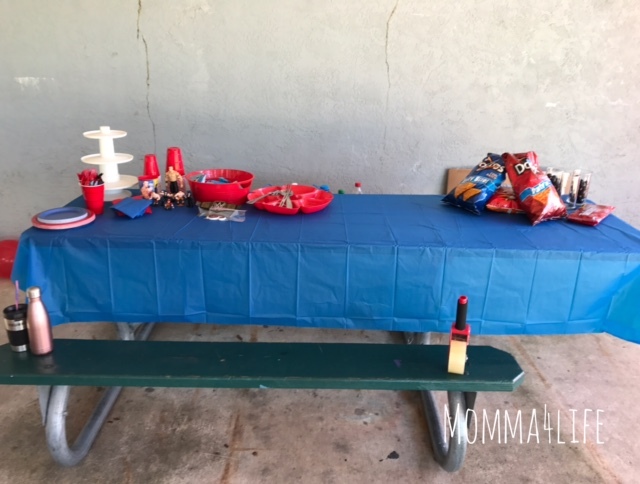 This party was such a hit and couldn't have done it without Oriental trading and all other great products I would highly recommend them for parties. 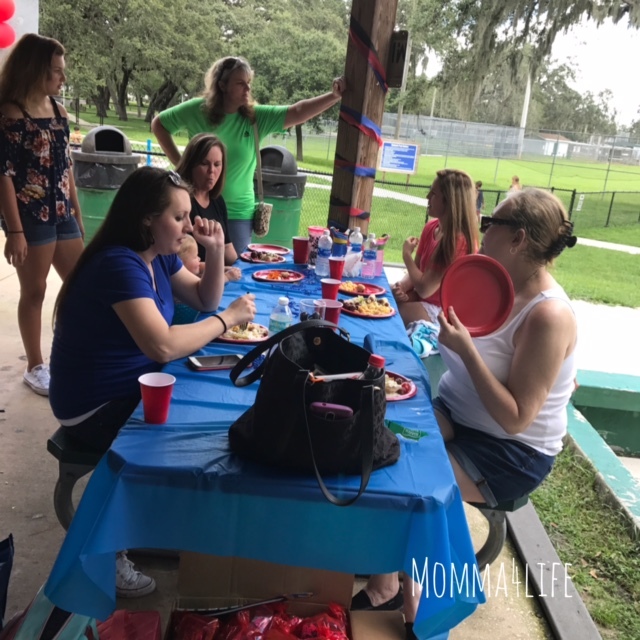 And right now is a perfect time to plan whether it's birthday parties, fall get together's, and even Christmas and holiday parties coming up.